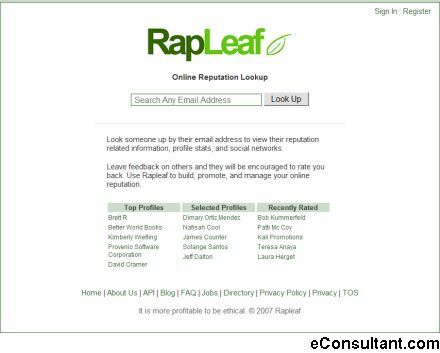 Description : Look someone up by their email address to view their reputation related information, profile stats, and social networks. Leave feedback on others and they will be encouraged to rate you back. Use Rapleaf to build, promote, and manage your online reputation.